One feature that I was more useful in Adobe AIR, was the addition of an API designed to make better automatic update of my application. This can be very important because not all users have the time (or desire) to return the application site to download the latest version. This is already routine for operating systems and software that we use in day-to-day as the Mozilla Firefox and Google Chrome or TweetDeck. The information is derived from XML files where you say that the latest version of software, new version of the news etc. 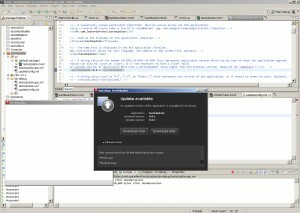 Let’s take a practical example, if you use Flash Builder should already have the files applicationupdater.swc and applicationupdater_ui.swc as a reference in the library. We started by calling xml updateConfig.xml, that “say” to your application where are the files to update. It must be saved in the same directory of your application, along with other xml and swf files. 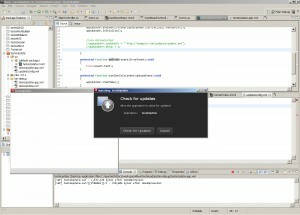 Now in Flex, instantiate the class ApplicationUpdateUI and setting the configuration xml file so that Flex can know where is the update. The file updateDescriptor.xml is where you set the version in the update of your application and where you can add a description of the news update. Basically that’s it, we will only implement the call to open the application, it checks if there is update. If you want to see if there are any updates of the application, just click on “check for upadates. The updated file is downloaded and installed. Good!! It’s greate tutoril, thanks for share! The Update Framework for Adobe AIR is the functionality that benefits a lot for adobe programmer it helps them to stay up to date without visiting the site for update. 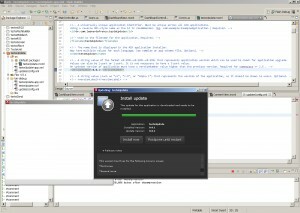 Managing updates with ease. Indeed a very good tutorial sir. Thank you. Adobe AIR runtime enables us to run our favorite web applications on the desktop, without using any browser. Enables us to have our favorite web application all the time. Great Tutorial sir, can’t wait to read more this october..
thanks for this brilliant info, I appreciate your great effort on sharing this tutorial. Fortunately, the update framework enhances the security of our application. 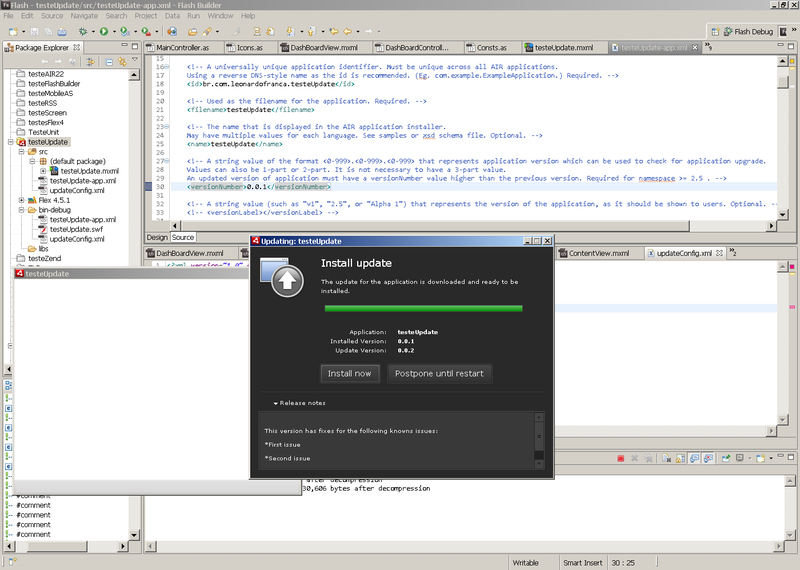 Because the Adobe AIR update framework is flexible, you decide how best to handle the update process.